Shange was born Paulette Williams in Trenton, N.J., and raised in St. Louis, “where she was one of the first black children to integrate into the city’s all-white public schools,” said The Washington Post. Her politically active parents, both medical professionals, “mixed with a crowd that included musicians Miles Davis and Dizzy Gillespie, as well as writer W.E.B. 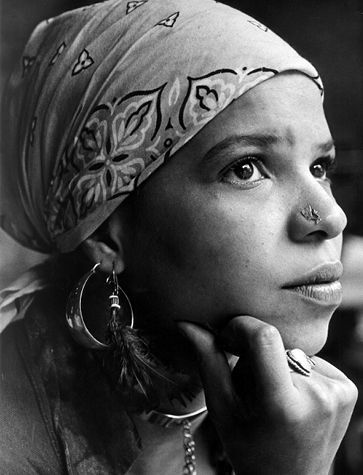 DuBois.” Shange began to hone her poetic voice at Barnard College in Manhattan, from which she graduated in 1970. Around this time, Shange adopted a Zulu name, said USA Today. Ntozake means “She who comes with her own things,” and Shange “She who walks like a lion.” Shange was 27 years old when For Colored Girls debuted on Broadway—only the second play by a black woman to appear there, following Lorraine Hansberry’s A Raisin in the Sun.